This past week we were at our place in the Texas Hill Country, and I had been working near a water trough for about an hour, when suddenly birds started flying in. 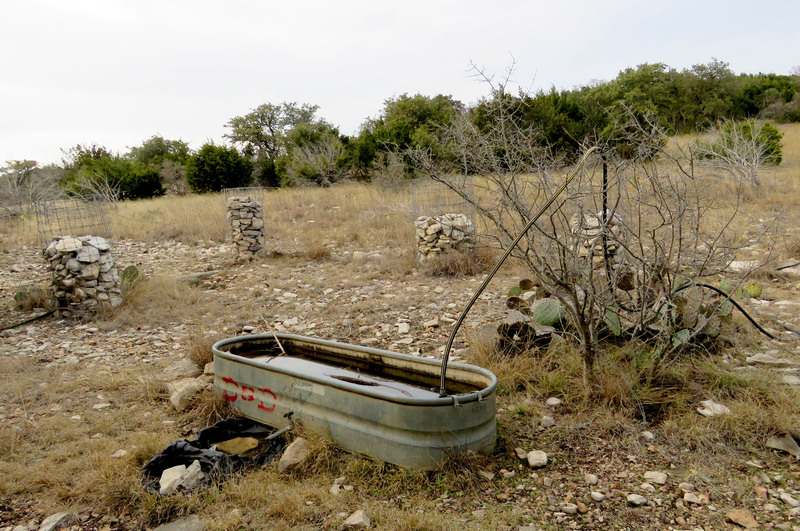 This trough is meant to provide supplementary water for wildlife, and sometimes I sit in the brush and wait to see if some birds will show up, but I have never seen any birds come in while I was out in the open. Water trough for wildlife. Wire barrels filled with rocks support some fencing, to keep the feral hogs out. They didn’t seem to mind my being there at all. They stayed for a long time, and some of them were species I have never seen there in the sixteen years we have owned the place, so I was pretty excited. 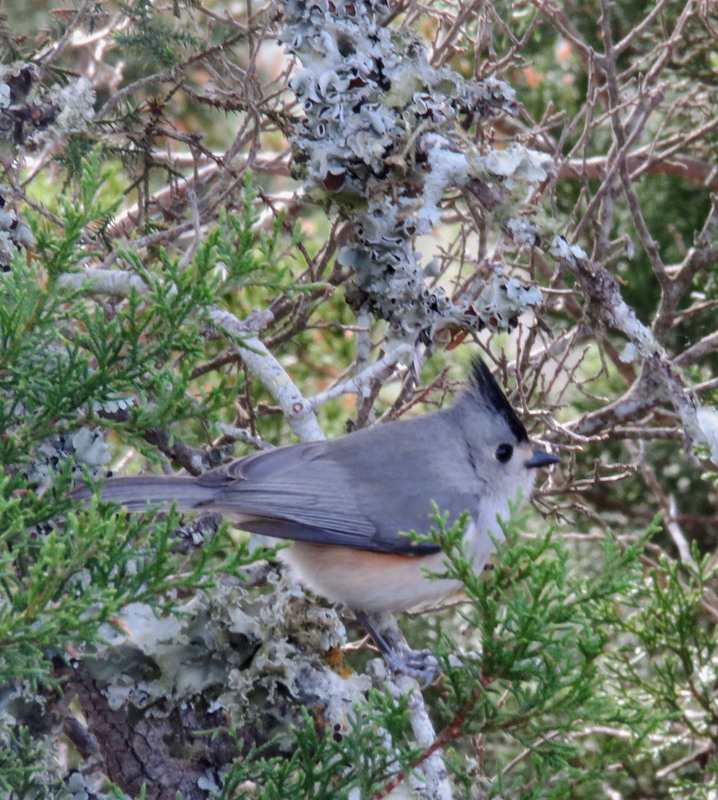 Black-crested Titmouse. 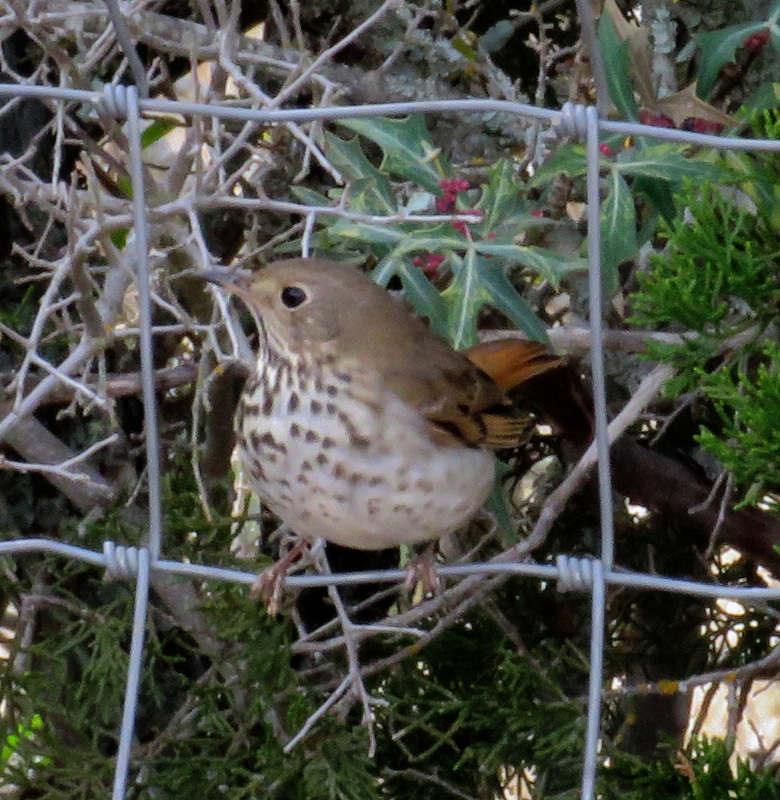 This was a new bird for my Life List. 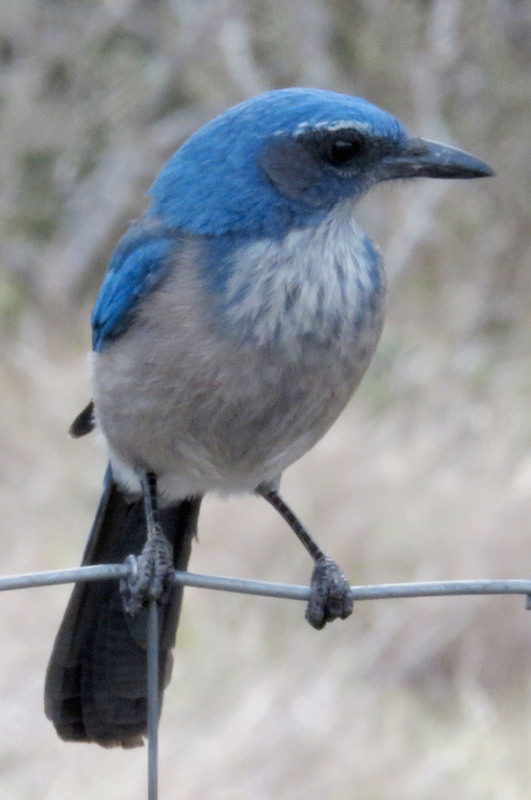 Woodhouse’s Scrub Jay. 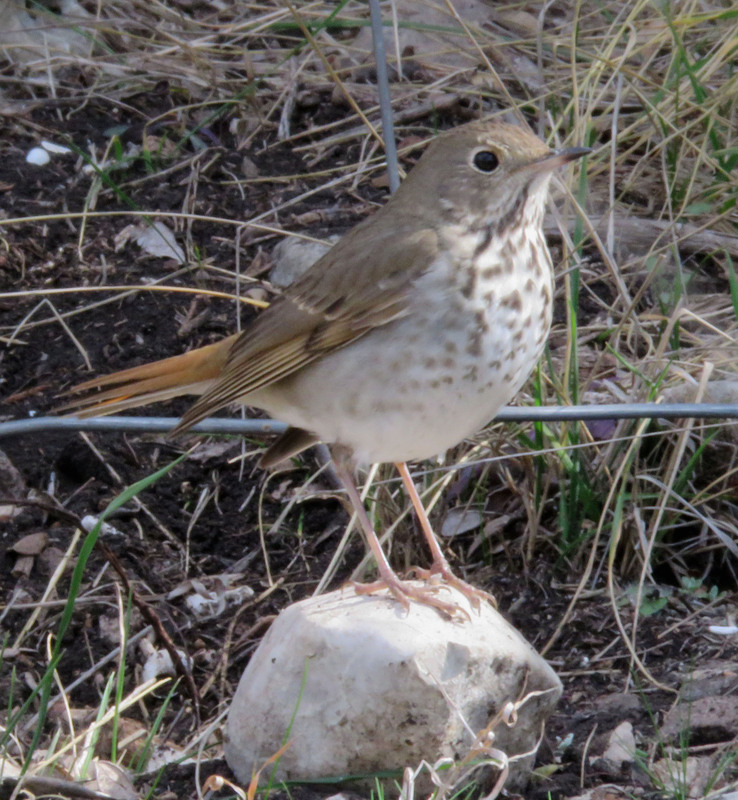 These birds are common on the Edwards Plateau, but are not seen where I live in East Texas. 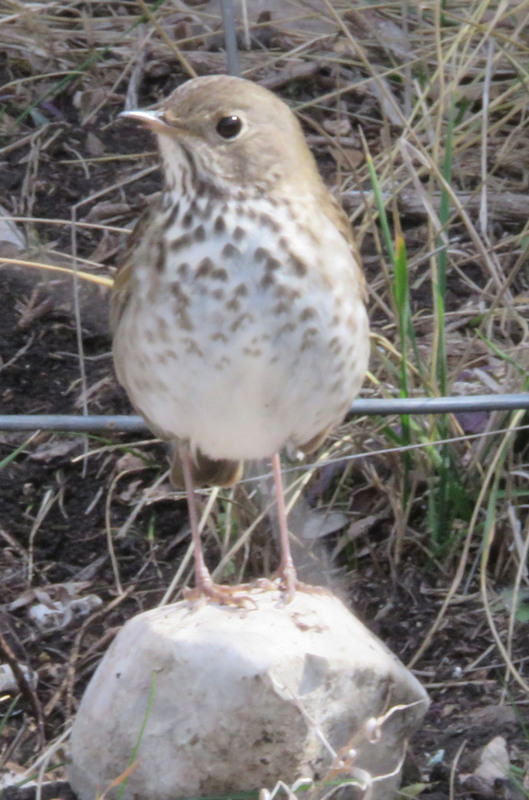 Here at our regular house in East Texas, I have only caught a few glimpses of Hermit Thrushes hiding in the trees, but on this day, two of them were boldly perching in the open, posing as if to make sure I got pictures of every angle, so I could make a definite ID. I appreciated it! 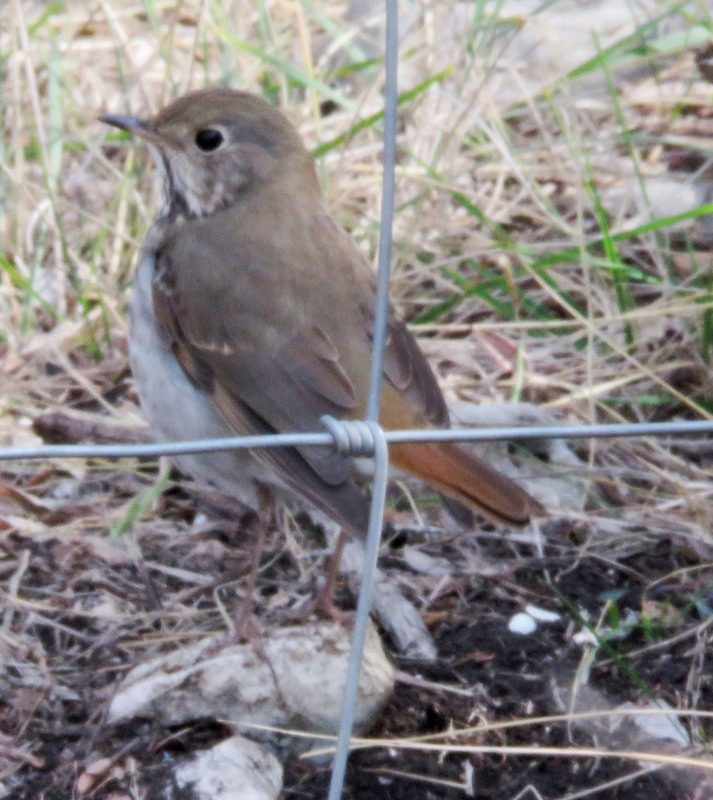 Hermit Thrush in the brush. The birds kept coming and going, as if they had a schedule to keep. 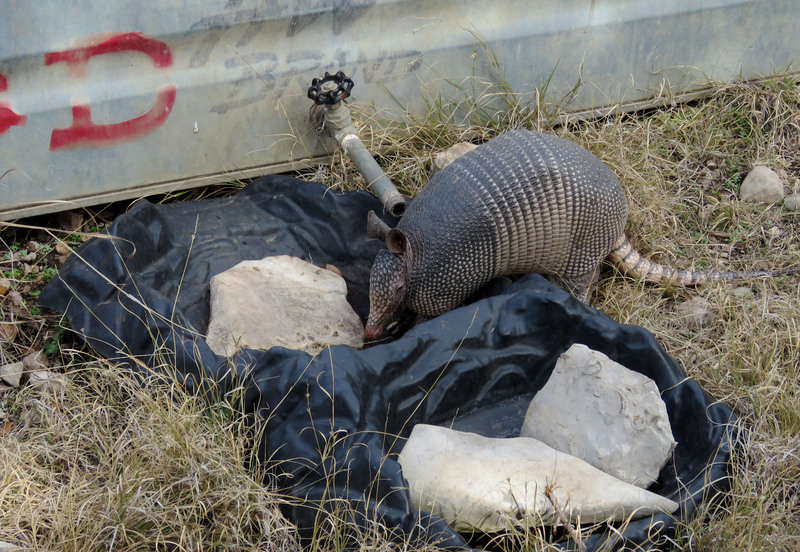 Then an armadillo came under the fence and had a lengthy water break too. 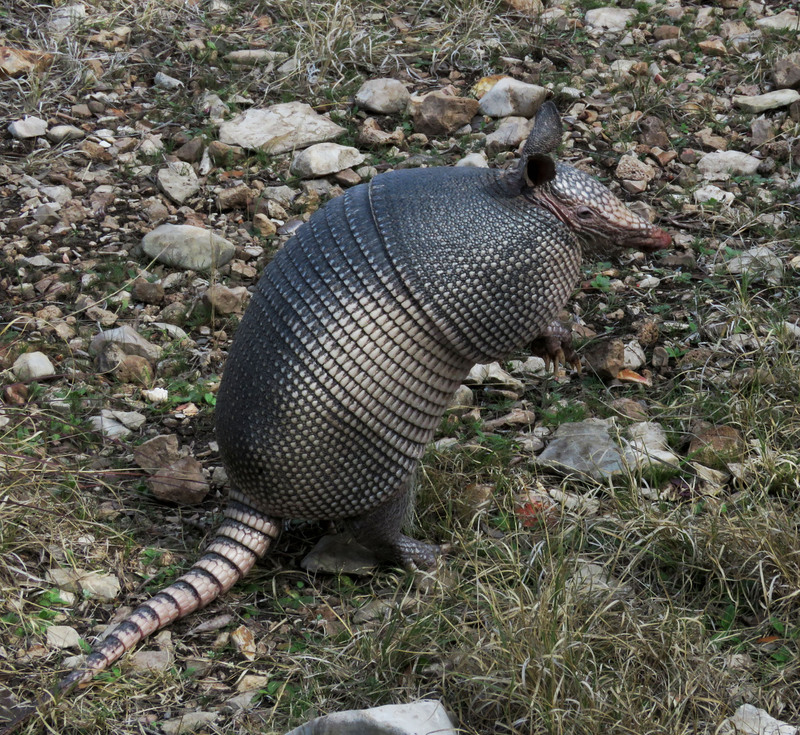 One of the dogs and I were only about 10 feet from the armadillo, and after a while it sensed something unusual was going on, and stood up to scent the air. Standing up to sense what’s around. 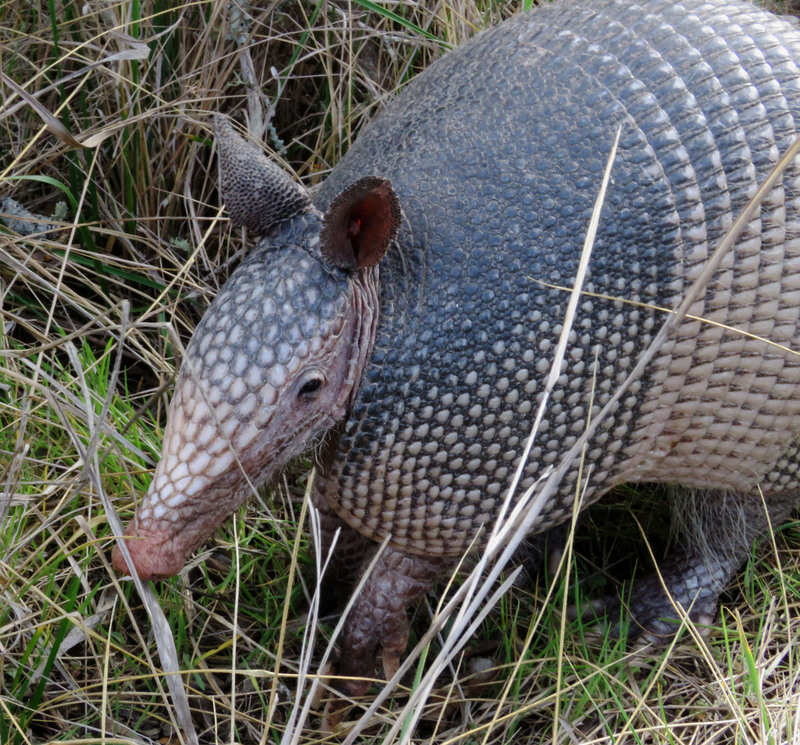 Then it went back out to snuffle around under the shrubs and do whatever it is armadillos spend all day doing. It was nice to have all this company while I worked!